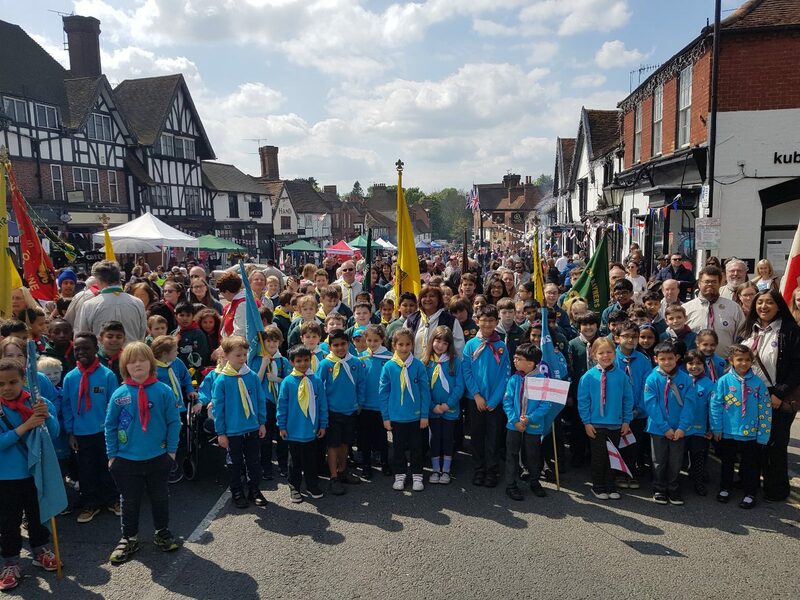 Over 100 members of the Scout Movement of Pinner & Headstone District descended on Pinner High Street for St Georges Day celebrations. Many Beavers, Cubs, Scouts, Explorer Scouts and Leaders all renewed their promise on the fine Sunday afternoon. Joined by members of Girlguiding UK, never has there been such a high turnout of young people for such a public event in Pinner. Follow us on Twitter @PinnerScouts. Previous Previous post: Montesole Playing Fields – Council Works.